Home Looking for a Job? We’ve got Three! Looking for a Job? We’ve got Three! A fun work environment, competitive salary, flexible work schedules…sounds like a good job for you? Then read on. There are vacancies for a technical writer, a PHP Engineer/WordPress Developer and a Support Engineer. We are based in Mumbai, India, but candidates will be considered regardless of location. Of course, this is not a finite list. We are constantly trying to learn new things, better our products, introduce new products and increase our tech expertise. Apply if you think you can live up to the challenges. Regardless of the post you are applying to, there are some things all our employees share, which makes us what we are. These include attention to detail, a hunger to learn new things, a belief in the team-spirit while retaining your individuality, and an overall friendly and fun-loving temperament. We seek out such individuals who may hum a song while coding, take a mid-day break to read something, or simply barge into my cabin to discuss an idea! We create amazing, useful and overall beautiful plugins for WooCommerce (yes, we are nerds who will use the word ‘beautiful’ for software and are proud about it!). However, if you think you will be working with a drab team, a dull office or an overall lethargic environment, think again. Days at Tyche are as fun as they are filled with some learning or another. 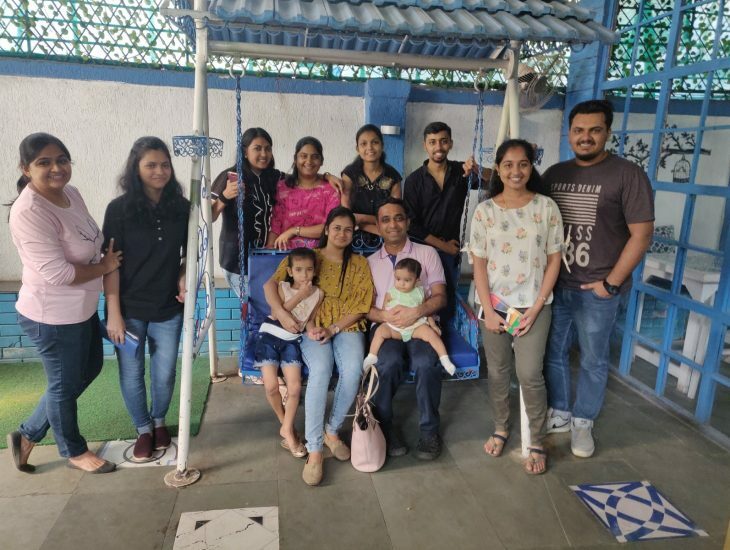 From long lunches to fortnightly book reading clubs and attending WordCamps as a team, from celebrating festivals with office games like Secret Santa to making use of online courses, there is always something happening. If it’s not that, then it’s a dart competition, or an impromptu tea party. 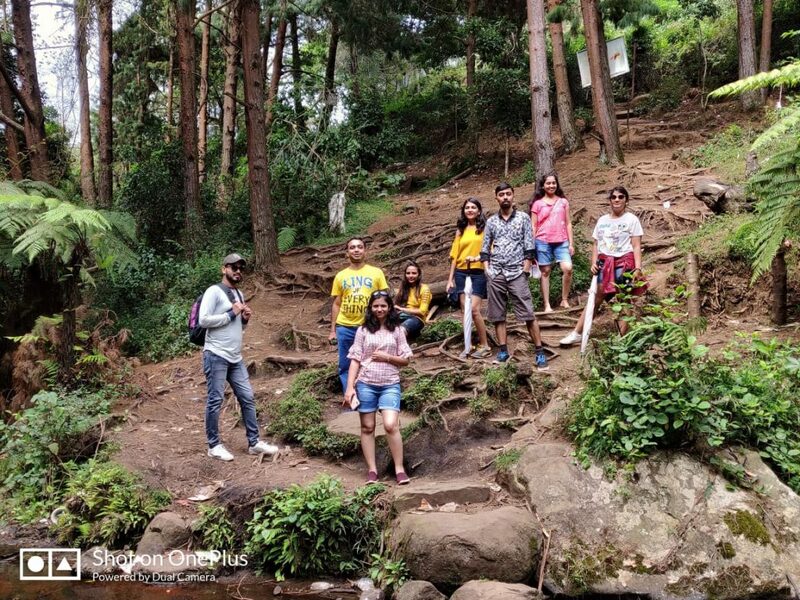 The Hike-a-thon: At our 2018 annual retreat in Kodaikanal. Another picture from Kodaikanal, this time from Chettiar Park. 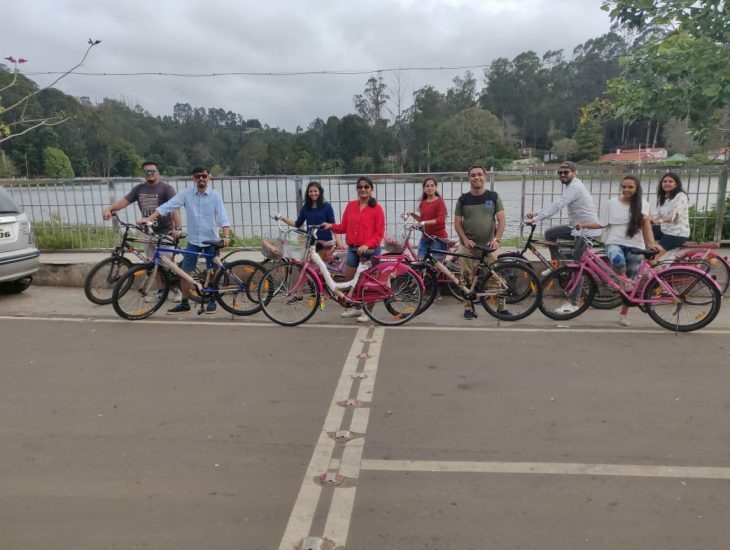 Tring-Tring: Cycling together around the Kodai Lake. 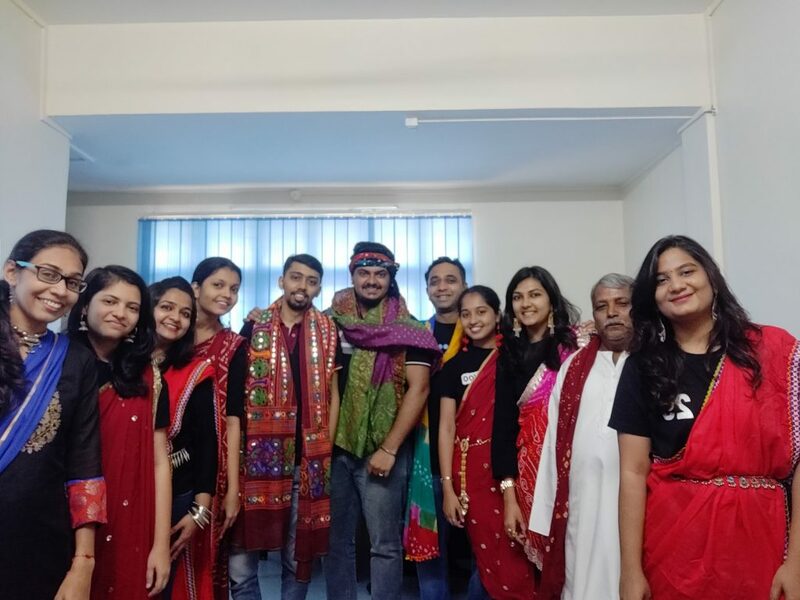 Chogada times: Nine days of dance, garba, colours and fun. 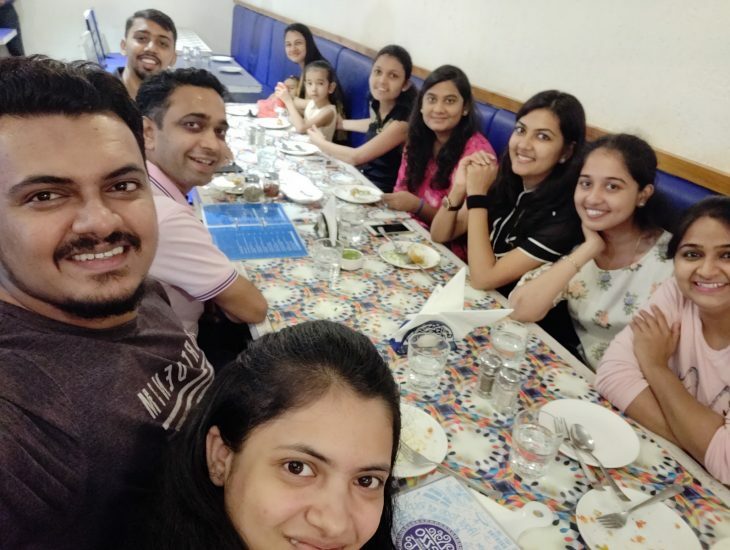 Mid-day meals: Out for a team lunch. Our food is here! Why else would we be smiling with our empty plates? At the team lunch. 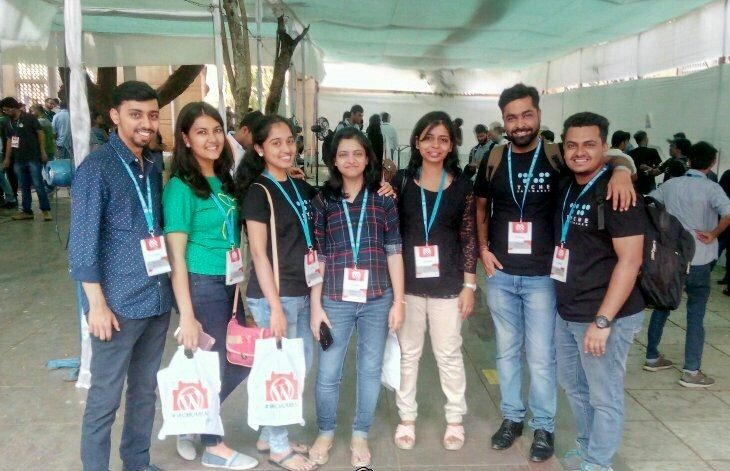 WordCamp Mumbai 2018: The team that attends WordCamps together, stays together! 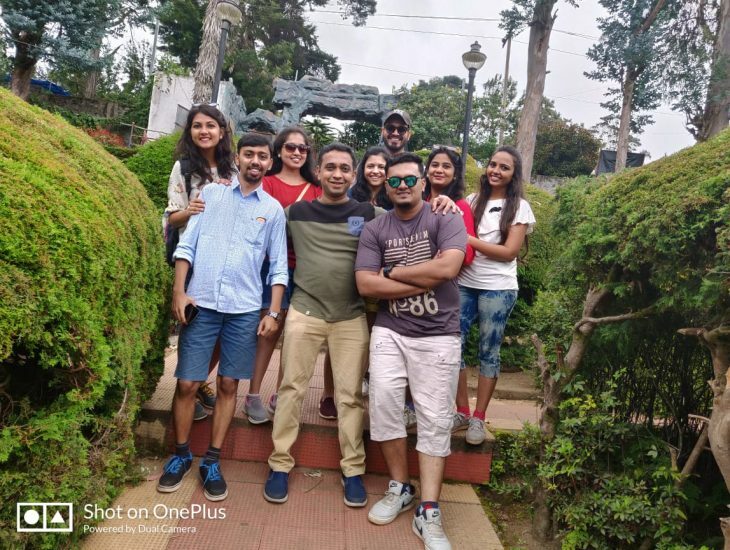 More than one team-member has claimed that the fun-loving, friendly and ever-smiling team is the true strength of Tyche. Check out their testimonials here. Our office is: Flat no. 20, 3rd Floor, Shakuntala Niwas, Sheth Gopalji Hemraj High School Marg, Borivali East, Mumbai 400066. However, you can also chose to work remotely. To Apply: Click the button below, fill out your form and upload your resume. We will schedule an interview either over a video call or in person, depending on your availability, after we have processed your application. We like WordPress and WooCommerce. A lot. We have built six plugins for the latter, which includes the Abandoned Cart Pro, the Booking & Appointment plugin, the Order Delivery and Product Delivery Date plugin and the Deposits plugin, since we began in January 2012. In October 2018, we acquired five more. When we are not working on making business easier for customers across the globe (literally. We have customers from the US, UK, Europe, India, Australia), we are busy speaking at and sponsoring WordCamps in the country. A lot of us work remotely, and use Slack and Asana to communicate with each other and keep track of our tasks. You will find that company policy related to timings, leaves etc is flexible and lenient, within limits. Know more on the other side of the application!